Isaiah Thomas was not his usual explosive attacking self in Game 5. Luckily for Boston, the rest of his teammates were. Avery Bradley scored a career playoff-best 29 points, Al Horford added 19 points as the Celtics blasted Washington 123-101 at TD Garden to take a 3-2 lead in their Eastern Conference semi-final series. 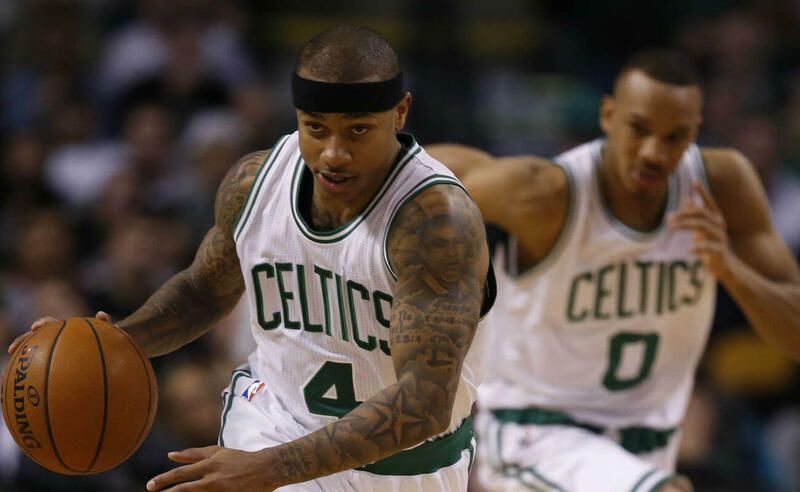 “It can’t just be Isaiah Thomas every night. If we’re able to understand that and he’s able to believe in us, the sky’s the limit,” said Bradley, who made four of his seven three-pointers and added six rebounds and three assists. Thomas scattered 18 points, but only had 13 field goals, though he made six of his seven attempts on the free-throw line. He also had nine assists. Boston burst out blistering right out of the gates, with Horford making his first five shots and finishing 8-of-9 from the field. The big man caromed six rebounds and dished out seven assists with just one turnover on the night. The Celtics went on a 16-0 run to establish a 20-8 lead in just six minutes, and they were leading 33-21 by the end of the first. Their largest lead was at 26 in the fourth frame. Four of five Wizards starters shot less than 50% from the field, as John Wall finished with a team-high 21 points but missed 10 of his 17 attempts. His backcourt running-mate Bradley Beal was 0-4 for treys, and was 7-of-19 overall and ended up with 16 points. Otto Porter shot 6-of-11 but was 1-of-5 from deep to add 13 markers for Washington, who had nine points from Markieff Morris and seven points from Marcin Gortat. Game 6 will be at Verizon Center, where the Wizards are 4-0 this postseason. Boston struggled in Games 3 and 4 in the capital where they averaged only 24 assists per game, but they found their passing rhythm back home and had 33 assists on 46 made field goals. Bradley have three 20-point games in his post-season career and all of them were in this term, with the first two coming against the Chicago Bulls in the first round. The Boston are 9-2 against the Wizards at TD Garden, meaning odds are with them even if the series shifts back to Massachusetts. Waiting in the Eastern Conference Finals are the Cleveland Cavaliers. The defending champions Cavs hold winning records against both Boston and Washington. They are 3-1 against the Celtics, and 2-1 against the Wiz. Philadelphia waiting for “son’’ Lowry but can he fit in with Sixers?